Since the appearance of cryptocurrencies in 2008, Bitcoin is slowly becoming a substitute for real money in many different financial transactions. Because of the sudden surge of Bitcoin, cryptocurrencies & Initial Coin Offerings (ICOs) over the past few years, many financial analysts are calling it “the future of money”. 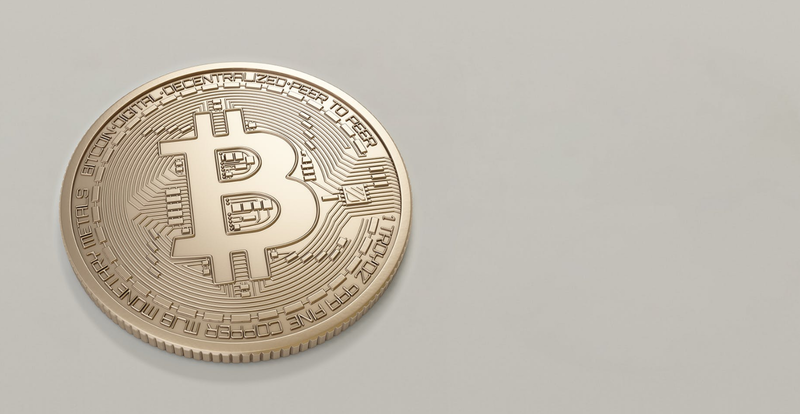 The value of Bitcoin has been fluctuating in the past few years, but many analysts are still optimistic that Bitcoin is a good investment and the future of Bitcoin is potentially bright. Like anything that is based on a digital platform, cryptocurrency has the potential to be hacked. Due to the high risk that comes from buying Bitcoin and even higher potential for returns, it’s important that you buy Bitcoin from a safe and secure platform. Before you could start trading and transacting with Bitcoin, you must first know how to buy, sell or trade Bitcoin securely, especially in Singapore and Canada. The first step in buying Bitcoin is registering for a cryptocurrency wallet. This wallet is a digital wallet where you can store your Bitcoin and other cryptocurrencies, and it is a requirement if you want to transact using Bitcoin. The wallet stores the data of your cryptocurrency and your private and public keys. It also interacts with various Blockchain to enable users to send and receive cryptocurrency or monitor their balance. There are generally two main types of wallets - software wallets and hardware wallets. Software wallets store your cryptocurrency data on web platforms, or in desktop and mobile applications. Most cryptocurrency exchanges provide you with a software wallet when you sign up with them. It can usually be accessed on their web platform or mobile application. On the other hand, hardware wallets are generally considered the safest type of wallets for holding cryptocurrencies long-term, because the data is stored in offline devices. Bitcoin exchanges are the popular places to buy Bitcoin. In cryptocurrency exchanges, the exchange buys and sells Bitcoin on your behalf, all you need to do is to place an order on the platform. Transactions on a Bitcoin exchange start with you placing an order with the amount of money you want to change for Bitcoin. The amount of Bitcoin you’ll receive from your order will depend on the Bitcoin exchange rate, which changes every day. Many Bitcoin exchanges accept payments via direct bank transfer or credit card, so it is fairly easy to start trading on these exchanges. Cryptocurrency exchanges usually allow buying, selling and trading of Bitcoin using fiat currencies or other cryptocurrencies. In Coinut, your Bitcoin wallet and trading exchange accounts are protected and secured by advanced encryption technology. Additionally, all deposits, withdrawals & transactions are processed semi-manually, so be rest assured that the Coinut team actively monitors the security of your digital assets. Unlike other cryptocurrency exchanges that only store your data in online databases, all cryptocurrency data kept by Coinut is securely stored offline, including your wallet's private keys. This makes it very difficult for hackers to acquire data from the Coinut platform, thereby ensuring that your account is safe from any unauthorised breaches. Coinut cryptocurrency exchange executes your trade orders by utilizing the fastest and most advanced order matching engine that can handle 2.6 million orders per second, which is among the fastest of all cryptocurrency exchanges. Compared to other cryptocurrency exchanges, Coinut also offers deposits and withdrawals at a really low fee for buying Bitcoin. You can trade cryptocurrencies using Singapore Dollars (SGD), Canadian Dollars (CAD) and US Dollars (USD). Coinut allows you to trade and transact directly using fiat currencies. The platform also promises same-day deposits and withdrawals, making it even easier and faster to buy Bitcoin. Furthermore, Coinut exchange is one of the few exchanges in the world that is compatible with the Lightning Network. This means that your Bitcoin and Litecoin wallets support SegWit addresses (“3” and “bc1” addresses for BTC, “M” and “ltc1” addresses for LTC), thereby allowing transfers of Bitcoin and Litecoin to Lightning Network wallets. This enables fast and cheap Bitcoin and Litecoin transactions. Bitcoin is still in its early stages of development and the future of Bitcoin is still hard to predict due to the volatility of the cryptocurrency market. But despite this uncertainty, Bitcoin is gaining worldwide recognition and could be the potential future of money and transactions. That is why it is even more important to keep your Bitcoin in a safe and secure cryptocurrency platform.